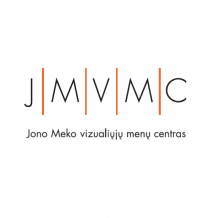 A solo exhibition of the works of Andrius Kviliunas opened on February 23, 2017 at the Jonas Mekas Visual Arts Center in Vilnius, Lithuania. The leitmotif of the exhibition revolves around (non)belief (religion), life and death – forming an existential triangle. Life is always closely connected to death, one passes into the other in a natural or brutal way and (non)belief is often entangled in the ties between them, in one way or another explaining or denying life, death, their (non)relationship. All three of these leitmotifs are connected to each other and are intertwined. Naivete, false pride, repentance and enlightenment, reality and illusion are also all interconnected. It must be noted, however, that the existential triangle is turned upside down in Kviliunas’ exhibition – the central axis becomes a video, filmed on a mobile phone at a park in a city in Poland of a bunker where a maniac had killed children. It is around this macabre spiral thematic axis that Kviliunas’ other films revolve and unfold the leitmotifs of life, death and (non)belief. The structure of the exhibition repeats the concept – the pivotal piece of the display is the film The World Upside Down about the maniac. The exhibition’s architechtonics are woven around it – the installation/objects as well as other videos complete a unified narrative. One group of films is composed of those where one can conditionally perceive the leitmotifs of life and/or death. Another group is a series created by Kviliunas that is devoted to the topic of Christian saints and the damned. 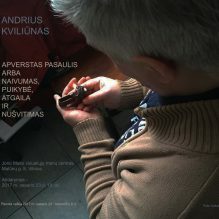 Andrius Kviliunas is probably one of the main representatives of pure Lithuanian video art, having consistently worked in this field from 1990. The artist’s work is always built upon an autobiographical foundation, permeated with the feeling of a purely subjective time in space, in a certain sense, even modernist – radically personal, diaristic, but with universal cultural symbols. Because of its clearly autobiographical motifs and the minutiae of everyday life that is seen in Kviliunas’ films, many may see his films as being too “heavy” or “depressing” per se. However, these works are not formal ones. 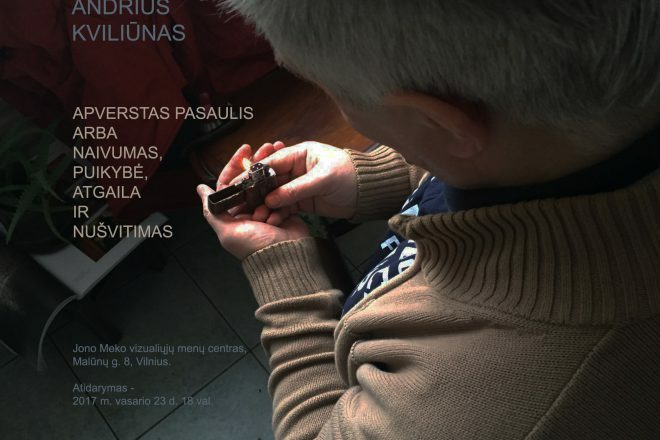 Kviliunas’ work is rooted deep in feelings – it is as if a bloody, but still beating and pulsing heart has been ripped out of Kviliunas’ own body.